US: Schedule I in Alabama, Arkansas, Florida, Louisiana, Mississippi, Ohio, and Virginia; Schedule IV in Georgia, and Texas; Scheduled in Arizona and Indiana; not FDA approved. Unscheduled in the remaining states. Etizolam (marketed under many brand names) is a thienodiazepine derivative  which is a benzodiazepine analog. The etizolam molecule differs from a benzodiazepine in that the benzene ring has been replaced by a thiophene ring and triazole ring has been fused, making the drug a thienotriazolodiazepine. It possesses amnesic, anxiolytic, anticonvulsant, hypnotic, sedative and skeletal muscle relaxant properties. It was patented in 1972 and approved for medical use in 1983. Abrupt or rapid discontinuation from etizolam, as with benzodiazepines, may result in the appearance of the benzodiazepine withdrawal syndrome, including rebound insomnia. Neuroleptic malignant syndrome, a rare event in benzodiazepine withdrawal, has been documented in a case of abrupt withdrawal from etizolam. This is particularly relevant given etizolam’s short half life relative to benzodiazepines such as diazepam resulting in a more rapid drug level decrease in blood plasma levels. When multiple doses of etizolam, or lorazepam, were administered to rat neurons, lorazepam caused downregulation of alpha-1 benzodiazepine binding sites (tolerance/dependence), while etizolam caused an increase in alpha-2 benzodiazepine binding sites (reverse tolerance to anti-anxiety effects). Tolerance to the anticonvulsant effects of lorazepam was observed, but no significant tolerance to the anticonvulsant effects of etizolam was observed. Etizolam therefore has a reduced liability to induce tolerance, and dependence, compared with classic benzodiazepines. Etizolam, a thienodiazepine derivative, is absorbed fairly rapidly, with peak plasma levels achieved between 30 minutes and 2 hours. It has a mean elimination half life of about 3.5 hours. Etizolam possesses potent hypnotic properties, and is comparable with other short-acting benzodiazepines. 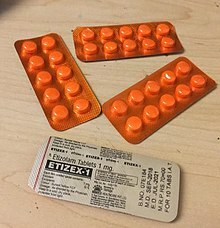 Etizolam acts as a full agonist at the benzodiazepine receptor to produce its range of therapeutic and adverse effects. According to the Italian P.I. sheet, etizolam belongs to a new class of diazepines, thienotriazolodiazepines. This new class is easily oxidized, rapidly metabolized, and has a lower risk of accumulation, even after prolonged treatment. Etizolam has an anxiolytic action about 6 times greater than that of diazepam. Etizolam produces, especially at higher dosages, a reduction in time taken to fall asleep, an increase in total sleep time, and a reduction in the number of awakenings. During tests, there were no substantial changes in deep sleep; however, it may reduce REM sleep. In EEG tests of healthy volunteers, etizolam showed some similar characteristics to tricyclic antidepressants. Cases of intentional suicide by overdose using etizolam in combination with GABA agonists have been reported. Although etizolam has a lower LD50 than certain benzodiazepines, the LD50 is still far beyond the prescribed or recommended dose. Flumazenil, a GABA antagonist agent used to reverse benzodiazepine overdoses, inhibits the effect of etizolam as well as classical benzodiazepines such as diazepam and chlordiazepoxide. Etizolam is controlled in Denmark under the Danish Misuse of Drugs Act. Etizolam is licensed for the treatment of anxiety, insomnia and neurosis as a prescription-only medication. Etizolam also called Depas, is restricted as a benzodiazepine analog in Japan from October 2016 onwards. In the UK, etizolam has been classified as a Class C drug by the May 2017 amendment to The Misuse of Drugs Act 1971 along with several other designer benzodiazepine drugs. Etizolam is not authorized by the FDA for medical use in the U.S. However, it currently remains unscheduled and is legal for research purposes. As of March 2016, etizolam is a controlled substance in the following states: Alabama, Arkansas, Florida, Georgia, Louisiana, Mississippi, Texas[not in citation given], South Carolina and Virginia. It is controlled in Indiana as of July 1, 2017. It is controlled in Ohio as of February 2018. Etizolam is a drug of potential abuse. Cases of etizolam dependence have been documented in the medical literature. However, conflicting reports from the World Health Organization, made public in 1991, dispute the abuse claims. Since 1991, cases of etizolam abuse and addiction have substantially increased, due to varying levels of accessibility and cultural popularity. ^ “Arizona HB2033 – 2017 – Fifty-third Legislature 1st Regular”. ^ a b “Ellington’s bill banning two deadly drugs could soon be law – State of Indiana House of Representatives”. www.indianahouserepublicans.com. ^ a b “Depas”. Retrieved October 31, 2015. ^ Sanna E. Pau D. Tuveri F. Massa F.Maciocco E. Acquas C. Floris C.
^ Niwa T, Shiraga T, Ishii I, Kagayama A, Takagi A (September 2005). “Contribution of human hepatic cytochrome p450 isoforms to the metabolism of psychotropic drugs” (PDF). Biol. Pharm. Bull. 28 (9): 1711–6. doi:10.1248/bpb.28.1711. PMID 16141545. ^ Catabay, A.; Taniguchi, M.; Jinno, K.; Pesek, J. J.; Williamsen, E. (1 March 1998). “Separation of 1,4-Benzodiazepines and Analogues Using Cholesteryl-10-Undecenoate Bonded Phase in Microcolumn Liquid Chromatography”. Journal of Chromatographic Science. 36 (3): 113. doi:10.1093/chromsci/36.3.111. ^ Mandrioli R, Mercolini L, Raggi MA (October 2008). “Benzodiazepine metabolism: an analytical perspective”. Curr. Drug Metab. 9 (8): 827–44. doi:10.2174/138920008786049258. PMID 18855614. Archived from the original on 2009-03-17. ^ Lopedota A, Cutrignelli A, Trapani A, et al. (May 2007). “Effects of different cyclodextrins on the morphology, loading and release properties of poly (DL-lactide-co-glycolide)-microparticles containing the hypnotic agent etizolam”. J Microencapsul. 24 (3): 214–24. doi:10.1080/02652040601058152. PMID 17454433. ^ Wakakura M, Tsubouchi T, Inouye J (March 2004). “Etizolam and benzodiazepine induced blepharospasm”. J. Neurol. Neurosurg. Psychiatry. 75 (3): 506–7. doi:10.1136/jnnp.2003.019869. PMC 1738986. PMID 14966178. ^ Kuroda K, Yabunami H, Hisanaga Y (January 2002). “Etizolam-induced superficial erythema annulare centrifugum”. Clin. Exp. Dermatol. 27 (1): 34–6. doi:10.1046/j.0307-6938.2001.00943.x. PMID 11952667. ^ Hirase M, Ishida T, Kamei C (November 2008). “Rebound insomnia induced by abrupt withdrawal of hypnotics in sleep-disturbed rats”. Eur. J. Pharmacol. 597 (1–3): 46–50. doi:10.1016/j.ejphar.2008.08.024. PMID 18789918. ^ Kawajiri M, Ohyagi Y, Furuya H, et al. (February 2002). “[A patient with Parkinson’s disease complicated by hypothyroidism who developed malignant syndrome after discontinuation of etizolam]”. Rinsho Shinkeigaku (in Japanese). 42 (2): 136–9. PMID 12424963. ^ Greenblatt, D J (1985). “Elimination Half-Life of Drugs: Value and Limitations”. Annual Review of Medicine. 36: 421–427. doi:10.1146/annurev.me.36.020185.002225. PMID 3994325. ^ Bertolino, A; Mastucci, E; Porro, V; Corfiati, L; Palermo, M; Ecari, U; Ceccarelli, G (1989). “Etizolam in the treatment of generalized anxiety disorder: A controlled clinical trial”. The Journal of International Medical Research. 17 (5): 455–60. doi:10.1177/030006058901700507. PMID 2572494. ^ De Candia, MP; Di Sciascio, G; Durbano, F; Mencacci, C; Rubiera, M; Aguglia, E; Garavini, A; Bersani, G; Di Sotto, A; Placidi, G; Cesana, BM (2009). “Effects of treatment with etizolam 0.5 mg BID on cognitive performance: A 3-week, multicenter, randomized, double-blind, placebo-controlled, two-treatment, three-period, noninferiority crossover study in patients with anxiety disorder”. Clinical Therapeutics. 31 (12): 2851–9. doi:10.1016/j.clinthera.2009.12.010. PMID 20110024. ^ a b c Sanna, E; Busonero, F; Talani, G; Mostallino, MC; Mura, ML; Pisu, MG; MacIocco, E; Serra, M; Biggio, G (2005). “Low tolerance and dependence liabilities of etizolam: Molecular, functional, and pharmacological correlates”. European Journal of Pharmacology. 519 (1–2): 31–42. doi:10.1016/j.ejphar.2005.06.047. PMID 16107249. ^ a b Fracasso C, Confalonieri S, Garattini S, Caccia S (1991). “Single and multiple dose pharmacokinetics of etizolam in healthy subjects”. Eur. J. Clin. Pharmacol. 40 (2): 181–5. doi:10.1007/BF00280074 (inactive 2018-09-23). PMID 2065698. ^ Nakamura J, Mukasa H (December 1992). “Effects of thienodiazepine derivatives, etizolam and clotiazepam on the appearance of Fm theta”. Jpn. J. Psychiatry Neurol. 46 (4): 927–31. doi:10.1111/j.1440-1819.1992.tb02862.x. PMID 1363923. ^ Yakushiji T, Fukuda T, Oyama Y, Akaike N (November 1989). “Effects of benzodiazepines and non-benzodiazepine compounds on the GABA-induced response in frog isolated sensory neurones”. Br. J. Pharmacol. 98 (3): 735–40. doi:10.1111/j.1476-5381.1989.tb14600.x. PMC 1854765. PMID 2574062. ^ Araki K, Yasui-Furukori N, Fukasawa T, et al. (August 2004). “Inhibition of the metabolism of etizolam by itraconazole in humans: evidence for the involvement of CYP3A4 in etizolam metabolism”. Eur. J. Clin. Pharmacol. 60 (6): 427–30. doi:10.1007/s00228-004-0789-1. PMID 15232663. ^ Suzuki Y, Kawashima Y, Shioiri T, Someya T (December 2004). “Effects of concomitant fluvoxamine on the plasma concentration of etizolam in Japanese psychiatric patients: wide interindividual variation in the drug interaction”. Ther Drug Monit. 26 (6): 638–42. doi:10.1097/00007691-200412000-00009. PMID 15570188. ^ Kondo S, Fukasawa T, Yasui-Furukori N, et al. (May 2005). “Induction of the metabolism of etizolam by carbamazepine in humans”. Eur. J. Clin. Pharmacol. 61 (3): 185–8. doi:10.1007/s00228-005-0904-y. PMID 15776275. ^ Nakamae T, Shinozuka T, Sasaki C, et al. (November 2008). “Case report: Etizolam and its major metabolites in two unnatural death cases”. Forensic Sci. Int. 182 (1–3): e1–6. doi:10.1016/j.forsciint.2008.08.012. PMID 18976871. ^ Woolverton WL, Nader MA, et al. (December 1995). “Case report: Effects of several benzodiazepines, alone and in combination with flumazenil, in rhesus monkeys trained to discriminate pentobarbital from saline”. Psychopharmacology. 122 (3): 230–236. doi:10.1007/BF02246544. PMID 8748392. ^ “Bekendtgørelse om euforiserende stoffer”. retsinformation.dk (in Danish). Retrieved 2016-11-21. ^ “DEPAS – Etizolam”. 2017-08-31. Retrieved 2018-05-14. ^ “Alabama Code Title 20. Food, Drugs, and Cosmetics § 20-2-23 – FindLaw”. ^ “Statutes & Constitution: Online Sunshine”. www.leg.state.fl.us. ^ “HB1231 (As Sent to Governor) – 2014 Regular Session”. billstatus.ls.state.ms.us. ^ “Controlled Substance Schedule | SCDHEC”. www.scdhec.gov. Retrieved 2019-03-20. ^ “18VAC110-20-322. Placement of Chemicals in Schedule I”. Commonwealth of Virginia. 2 December 2015. Retrieved 11 March 2016. ^ Gupta S, Garg B (2014). “A case of etizolam dependence”. Indian J Pharmacol. 46 (6): 655–656. doi:10.4103/0253-7613.144943. PMC 4264086. PMID 25538342. ^ Allison, David (20 April 2018). “How to tackle Dundee’s fake valium epidemic” – via www.bbc.com. ^ Guirguis, Clinical Pharmacist8 OCT 2018By Amira GuirguisAmira GuirguisCorresponding AuthorAmira; pharmacist; Chemistry, Senior Lecturer in Pharmaceutical; Psychopharmacology; Misuse, Drug; Unit, Novel Psychoactive Substances Research; Hertfordshire, University of. “Novel psychoactive substances: understanding the new illegal drug market”. Pharmaceutical Journal.